Let me just say, that now I know, what a Shaman is. Forget the local charlatans and New Agers. That was...something entirely different and else. Spirit of the land and the ancestors on my neck. 4 healing sessions in 5 days. 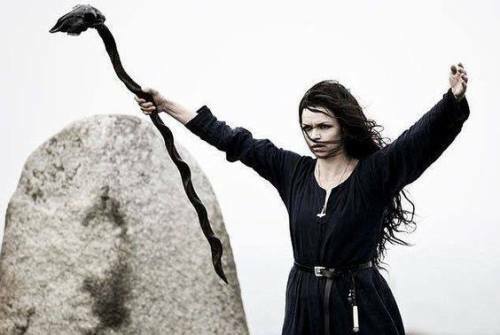 Thank you, most respected and revered and beloved Nordic Wisewoman. threatening to come see me in a couple of months. Got her roots here in town but spent her life in beautiful Norway. - personally signed by yours truly - old CD's to back up her claim. Marx (minus the hat) or something by her side. Just...what the heck is going on here..? and you folks next week, after the last day of harvest season. Would love to get outta town and come see you guys! You should absolutely come over here if you have the opportunity. what's the situation to get over there for a visit ? it cleans cobwebs off the mind , doesn't it . Oh, it's nothing, just a short bus ride. I've become rather stationary lately. of the strength of The Old Ones. I'd lift a Soda in celebration with ya's . We really need more details to assess this situation. (09-25-2017, 08:46 PM)Octo Wrote: We really need more details to assess this situation. After you do, can you let us all in on it? (09-24-2017, 03:36 AM)Accidental Stoner Wrote: OMG OMG! I always thought that song meant the opposite...I am in love but just forget it.